Regular readers know that I don’t often write about current television because I don’t often watch current television. * I’m going to make an exception today, however, and I’m also going to be touching a bit on politics, though not to advocate – so I’ll issue my standard disclaimer, that if neither of these topics interest you, feel free to come back for the TV Guide piece on Saturday. No questions asked, no hard feelings. *Although I admit that two of my favorite shows of all time – Top Gear (the UK version) and Doctor Who – are current. Neither, however, is on network television and both are British series, which may or may not mean something. If you’re still with me, we’ll proceed. 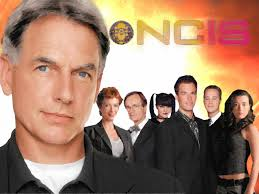 A show that I do catch (albeit involuntarily) from time to time is NCIS, and I’ve also seen the other police procedurals, CSI, Law & Order, etc. And there’s something about NCIS that disturbs me quite a bit – namely, the seeming disregard for civil liberties. Now, politically I’m no civil libertarian, but it troubles me that series like NCIS are so cavalier with these basic rights. Of course, television shows aren't quite as encumbered by the Constitution as real life tends to be, and they tend to draw a much clearer line between the good guys and the bad guys. Every week we’re supposed to be amazed at how quickly the agents can find the information that points the finger of judgment at the guilty. We’re properly satisfied when incriminating evidence is uncovered through means that most likely would be tossed by the trial judge. We chuckle appreciatively when strong-arm interrogation techniques are used, and smirk knowingly every time a wisecrack is tossed out. As I said, NCIS is just a television show. Its portrayal of government agents in search of criminals and terrorists may or may not be accurate, and it may exaggerate things from time to time for dramatic effect (as has been the case since TV began). We shouldn't take it as a documentary on how the real-life NCIS is run. But it's because NCIS is a TV show that I worry. Like most TV cop shows (though not all, particularly in this day and age), we're supposed to root for the good guys against the bad guys. And in the pursuit of justice, we're taught that it's allowable for certain corners to be cut. Like files copied from a computer without a warrant. Like agents looking in a house without probable cause. Like evidence being shared without permission. Knowing what we do of the fictional criminal, and being witness to the virtues of the fictional agent, we trust that in this case the end justifies the means. And we know how influential television can be. We know about the so-called CSI effect, in which real-life jurors have increasingly come to expect the same kind of forensic evidence from the prosecution as they are accustomed to seeing every week on TV. I've written in the past about the relationship between television and the Cold War – how series such as Mission: Impossible made it easier for an American audience to accept the idea of covert government action in the affairs of foreign nations. I fear the same type of effect is at work in today’s procedurals. After all, we’re much less likely to be troubled about enhanced interrogation when it’s used against someone who’s clearly planning a terrorist attack. 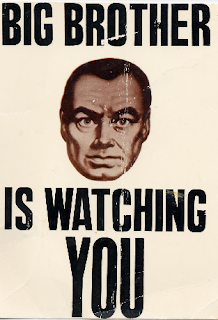 We’re grateful for the surveillance cameras that catch the murderer in the act, the bank records that show the trail of illegal payments, the face recognition software, the cellphone tracking devices, the instantaneous access to all kinds of private information, mostly pertaining to private citizens. Yes, it’s always very simple to appreciate the powers of the government when they’re clearly used against the guilty. After all, we want the guilty caught and punished; so what if we happen to trample against their civil liberties by questioning them without an attorney, by entrapping them into making a confession, by intimidating them with threats of dire consequences to come. And in doing so, television may be playing its part in training the rest of us to accept the curbing of individual liberties - an increase in surveillance cameras, a broadening of the government's right to tap your phone and read your email - all in the name of security. We've seen how effective this can be in catching the bad guys on TV, and it may well transfer to our regarding them as necessities in real life. But, you see, in real life things aren’t always that simple. How would you feel if all those things the agents are miraculously able to pull up on their computer screens - the surveillance camera pictures, the phone calls, the banking statements, the credit card receipts, records of travel and acquaintances and facial recognition - what if it was your life up there on the screen for all and sundry to see? Do you feel comfortable with that idea? Do you like the thought that there's nowhere you can go, nobody you can see, without there being a photographic record of it (even if nobody ever looks at it)? I don't. But, you say, why would they want my records? Why would the Feds be after me? I haven't done anything, have I? Yeah, but that's what they all say. As far as I know, they all say that on NCIS. But we know better, don't we? They may say they're innocent, but . . .
My concern is that we’re faced with a “frog in the boiling water” scenario. Unlike television, real life is complicated. That suspect in the interrogation room - you know, the ones Gibbs and Tony and Ziva are sure did it - might be innocent - and even if he (or she) isn't, it's likely that half a dozen different Constitutional rights got violated, and the confession's going to wind up getting tossed out by the judge. * The end doesn't always justify the means - in fact, it seldom does. *I'm biased on this since I don't like NCIS (in case you hadn't noticed), but on the occasions I have seen it I've invariably found myself rooting for the bad guys. I can't help it - no matter the cause, you just can't run roughshod over basic civil liberties like they do. Enhanced interrogation, questioning without a lawyer, taunting people, physicial intimidation - I've heard judges aren't too thrilled about that kind of thing. And they shouldn't be. If there's good news to be had, it's that even in the wake of the Boston Marathon bombing, the public seems to share this concern about the government's reach. A Washington Post poll earlier this week indicated that 41 percent of respondents were worried that the government “will not go far enough” in compromising individual rights in favor of investigating terrorism while 48 were worried that the government “will go too far.” That suggests the public isn't being stampeded into thinking the police state is the answer to our security threats, especially since the initial post-9/11 polls suggested the public was far less concerned with individual rights than they were with security. And I don't want to put too fine a point on this. I might be making too much of all this, and I might not be articulating my case well enough to prove my point. After all, this is a TV website and we're talking about a handful of TV shows. TV shows that emphasize the importance of stopping the bad guys. The ends justify the means. The audience watches. The water gets hotter and hotter, and the frog doesn't feel a thing. You can say this about every cop show on television. I noticed this after watching every ADAM-12 a couple of years ago. Today's cop shows are a pure 180 when it comes to warrants, Miranda, probable cause, etc. It really bothered me when the new HAWAII FIVE-0 did it, because it was a cheap sellout of what the original series represented. You hit things on the head...here we are three years later, and people are cheering when Trump or someone else promises to boil other frogs in the name of THEIR security--presuming they could NEVER wind up in the pot.